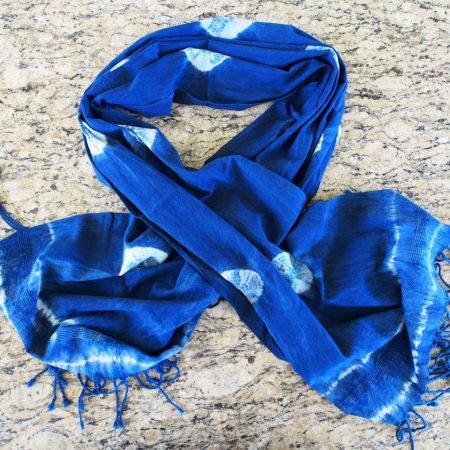 Shibori from Japan. Woven through each piece is the story of life. Each piece has the hand of the artisan who made it. We want you to know who made it, where it was made, and what they used to make it. 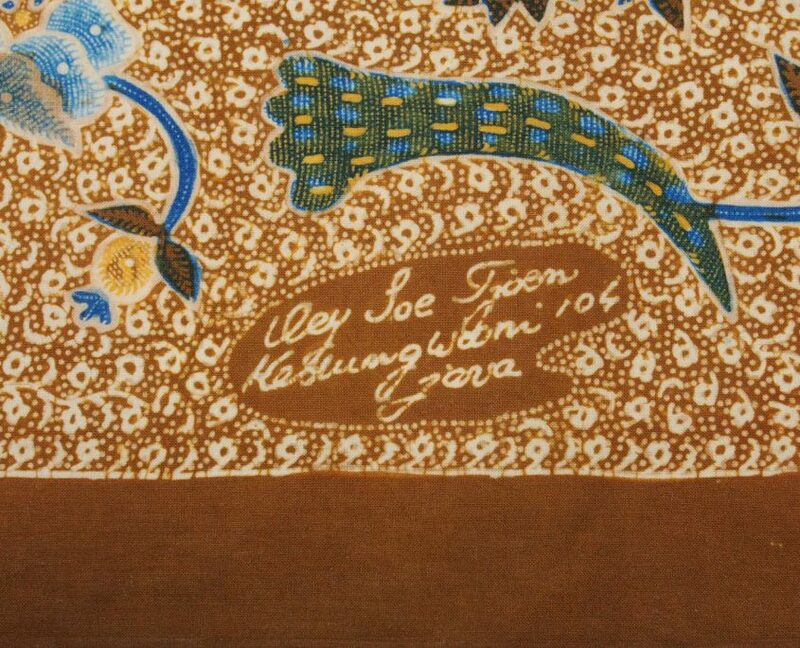 At The Language of Cloth we look for textiles that have a story to tell. 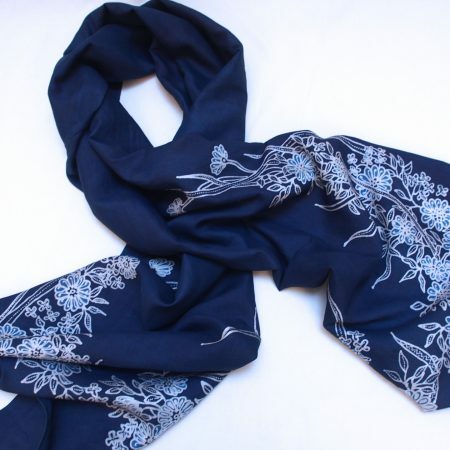 Each piece is made by someone somewhere, and they probably spent years acquiring the skill to do it. Their hand is still in it. 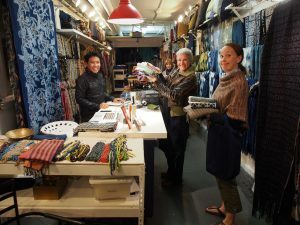 We try to connect our customers with the person who made the cloth, the scarf, the table cover, or the blanket. Knowing something about who made it, where it was made, and what materials were used to make it, is a way to follow the thread of life’s story. This website is dedicated to you. 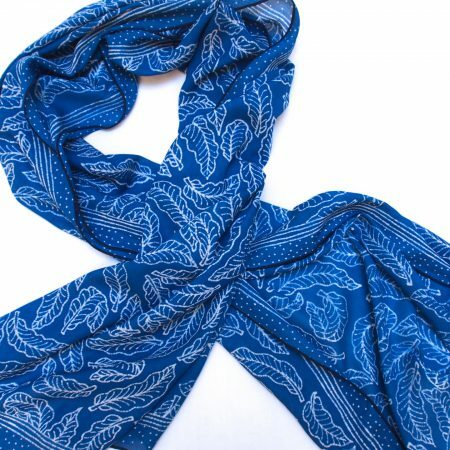 Scarf, hand drawn batik on cotton paris, from Iful of Tinctori Indigo.